Transmission oil for use on tractors, agricultural equipment and earth moving machinery. Suitable for use in traditional gearboxes, Power-Shift and Shuttle-Shift gearboxes, rear transmissions with wet brakes, side final drives, wheel final drives, differentials, hydraulic hoists, drive pulley, mechanical and hydrostatic drives, and power steering units. Excellent anti-wear properties even in the most demanding and low RPM operating conditions. Excellent anti-stick & slip features in order to allow top braking efficiency. High viscosity index to optimize servo control response at any operating temperature. High lubricant thermal stability in order to maintain a high and constant pressure in the lubricating circuit. 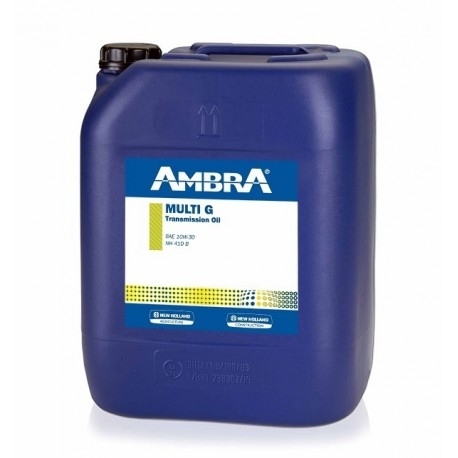 Improved fluidity at low temperatures to reduce power absorption and improve hydraulic circuit performance.